'QUEST FOR THE BLUE LANTERNS' part three! 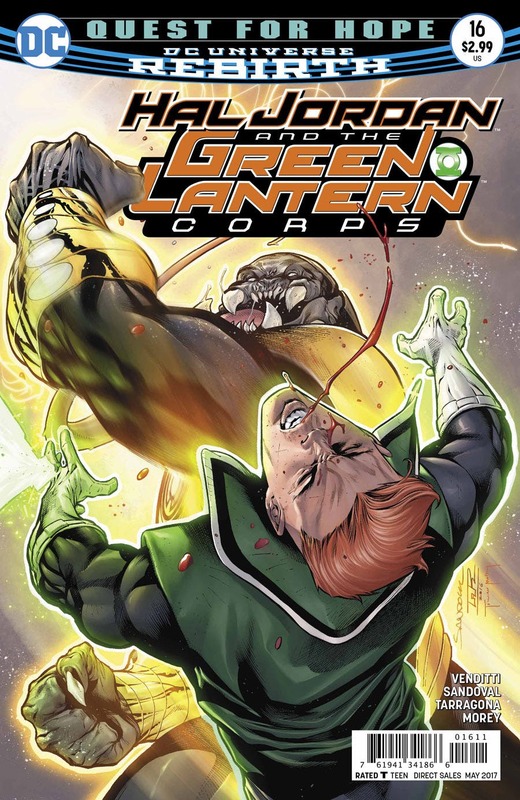 Guy Gardner sets out on a one-man mission to take out the one Sinestro Corps ring slinger everyone's afraid of: Arkillo! Can this Green Lantern with a grudge take down this monstrous alien and prove he's still the toughest guy in the cosmos to carry a power battery? As Guy's hope for a fair fight wanes, Hal Jordan and Kyle Rayner streak across the galaxy in a last-ditch effort to find Saint Walker of the Blue Lanterns and ensure that the blue light of hope isn't extinguished.